Tero Marine has secured a contract for delivery of fleet management software to Norwegian shipping giant SolstadFarstad. The Bergen-based tech company now prepares to install its TM Master suite on almost 150 offshore vessels. SolstadFarstad and Tero Marine have already started a pilot project on a selected number of vessels. When this is completed, the plan is to start roll-out of TM Master on the entire fleet. The merger of Solstad Offshore, Farstad Shipping, Deep Sea Supply and REM Offshore has created the world’s biggest owner of large vessels in the supply, anchor handling and construction support segments. The merger left the company with four planned maintenance systems throughout the fleet, and the ambition now is to create a streamlined operation consolidating these four systems into one future-proof system. -- We have been through a very extensive process of evaluating different providers, and have concluded that Tero Marine has the best overall solution – in terms of cost and functionality – for maintenance, procurement and IT. Their development roadmap is also in line with our ambitions for a more efficient planned maintenance and procurement system, says Tor Inge Dale, COO in SolstadFarstad. He also underlines the importance of the extensive TM Docking module, an integrated part of TM Master; a high level of control with dry-docking operations – from early planning to execution and reporting – is crucial. -- The TM software fits our specific workflow, with seamless information flow between the different work areas and locations. We are convinced that TM Master will play an important role in optimising our operations, says Tor Inge Dale. Tero Marine has developed software solutions for the shipping industry for three decades. The TM Master software suite is one of the leading fleet management brands, licensed to more than 2000 ships worldwide. Tero Marine has offices in Bergen (head office), Oslo, Newcastle, St. Petersburg, Singapore and Rio de Janeiro. After last year’s merger, SolstadFarstad is now run out of Skudeneshavn, Norway, with offices in Australia, Brazil, Singapore, Philippines, Scotland, Cyprus and Ukraine. -- It’s a great privilege for us to work with a company like SolstadFarstad. They have been very clear on how they want to integrate TM Master in their fleet operations, which provides us with exciting implementation and development challenges. For us, this is also an encouraging act of trust in a time where uncertainty characterizes parts of the shipping industry, says Jarle Holmelid, CEO at Tero Marine. 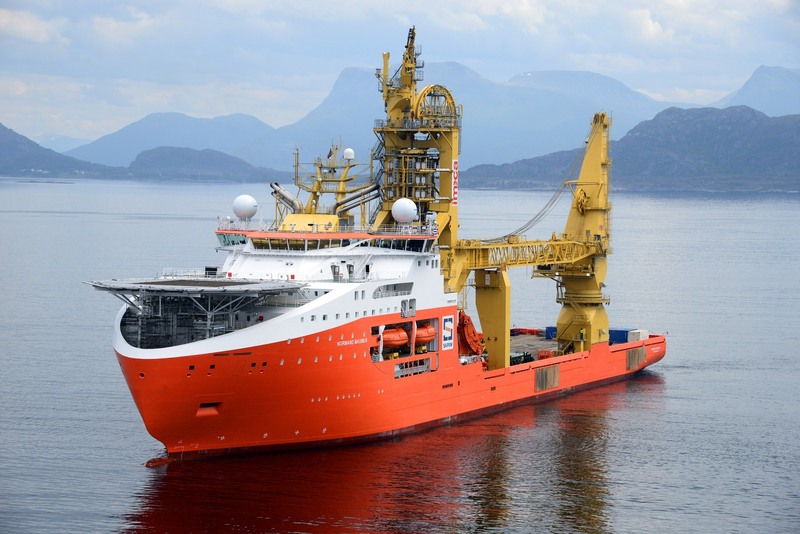 Offshore construction vessel ‘Normand Maximus’ is one of SolstadFarstad’s largest and most advanced vessels. It is currently on contract with Saipem, the Italian oil and gas industry contractor.